Around-the-clock personal Butlers see to the guests’ every need for the duration of their journey; be it in the comfort of their private suites or in any one of our exquisite lounges. 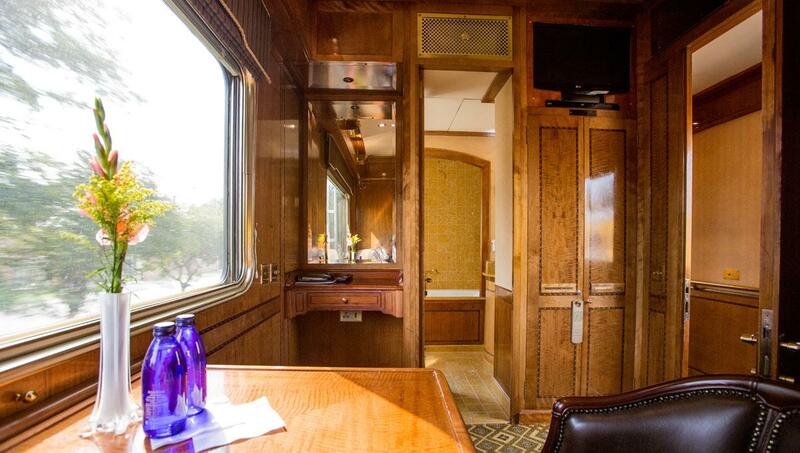 The train features panoramic size windows enabling guests to comfortably view the stunning scenery of the South African countryside. Guests indulge in sublime fine-dining accompanied by some of the best wines South Africa has to offer. 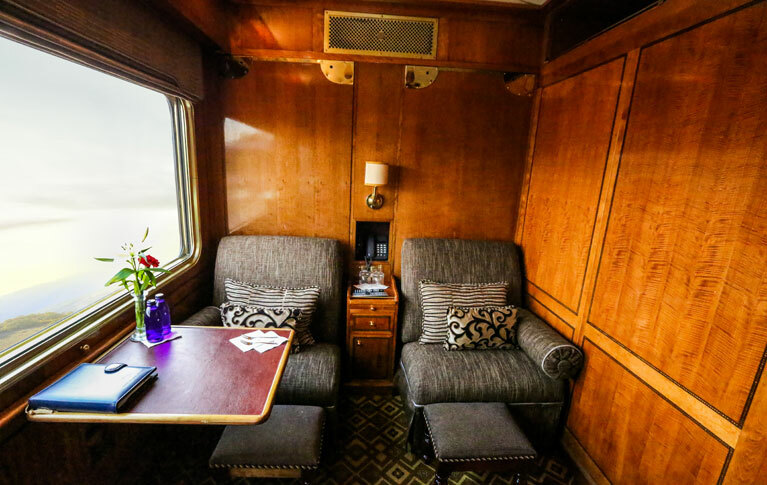 Guests can tune into the driver’s eye view camera and watch the world ahead as the train swiftly glides along on its journey of 1,600 kilometres. Modern technological advancements include a TV monitor in each suite, an automated 24 channel entertainment system and Wi-Fi throughout. You will begin this exciting adventure in the afternoon at 4pm where you will register and check-in at Pretoria Station. Guests are boarded directly to The Blue Train. Please enjoy your your pre-departure snacks and drinks onboard. High tea and dinner will be served according to the planned schedule. *Remember, dinner is an elegant affair and men are requested to wear a jacket and tie and ladies elegant evening wear. Enjoy breakfast on-board. The Blue Train will arrive at Kimberley station at 9:30am allowing guests to disembark and gather at the railway museum and begin their tour to the Kimberley Open Mine Museum. 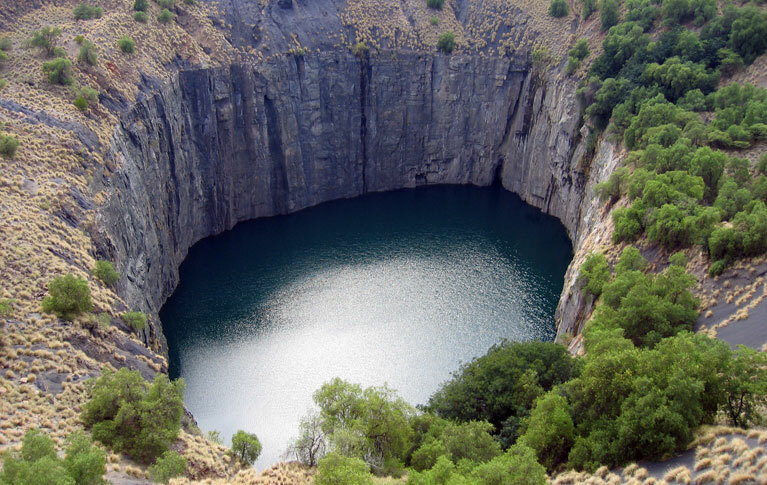 You will have the chance to view interesting historical sites and taken to an enclosed ramp on the edge of the Big Hole. Return to the station and enjoy a glass of sherry at the bar. You will also receive a sherry glass as a memento for you to keep. Lunch and dinner will be served according to the schedule. In the morning, you will be served breakfast on a first come first serve basis. 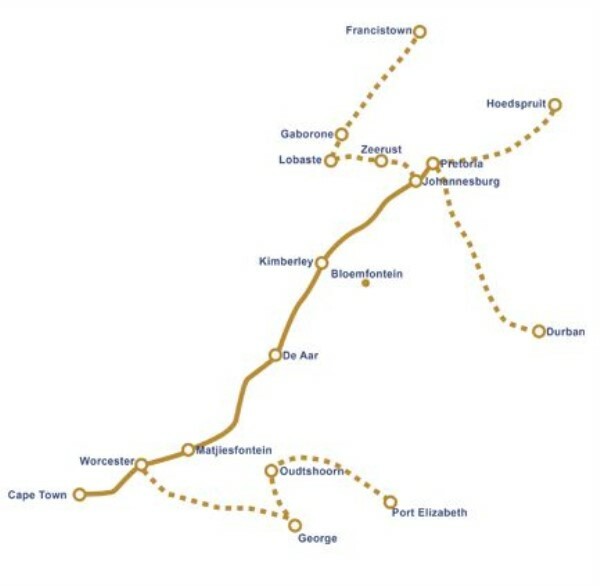 The train will arrive at Cape Town station at 10:30am where the journey will end.